Here are some questions to ask the homeowner when planning their gutter guard installation. Experienced contractors know that a smoothly-run project begins with a good conversation with the homeowner. Asking the client the right questions can pave the way for realistic customer expectations that both you and your team can achieve. What is your timeline? It is always important to have a clear idea of how quickly the homeowner wants the system installed for a number of reasons. First, it prevents you from over-selling your services. You have the opportunity to discuss with them how long the typical project takes for homes similar to theirs. Secondly, discussing timing opens the discussion on what the homeowner can expect from your company based on your current workload. This ensures no one is left disappointed. How long would you like the system to last? The gutter guard material a client chooses will play a critical factor in how long the product will last. If they plan on staying in their home long-term, they may want to choose a durable, long-lasting product such as steel. 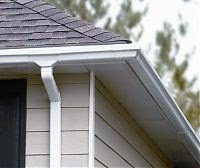 If they are preparing to sell their home shortly but still want to enjoy the benefits of a gutter guard system in the short-term, they may consider simple foam inserts or a vinyl system. What is your budget? Knowing the customer’s budget restrictions will help you determine the best materials and products to offer. While you can discuss systems that may be a little above or below their budget, steer clear of straying too far. Quoting too high may send their business to a competitor. What type of vegetation accumulates most often in your gutters? Knowing the type of vegetation that surrounds the area will help you and the homeowner find the right solution for their home. When they clean their gutters, what do they find: large leaves and debris or smaller needles? If their gutters become filled with small needles, you may want to discuss solutions which feature a finer mesh. How important is appearance to you? Do they want their system to seamlessly fit with their current exterior or are its looks secondary to cost? Gutter guard systems come in a number of colors and materials but not every brand may match the home. If curb appeal matters make sure to guide the discussion towards solutions that not only work great but also look great too. What questions do you have? Don’t forget to ask your customers if they have any question for you. They may be too shy or timid to bring up concerns they may have so open the line of dialog for them. Having clear communication will result in a smoother install as well as a more satisfied client. When ready to purchase the supplies for your next job trust America’s #1 online supplier of gutter tools and supplies – GutterSupply.com. We carry one of the largest selections of gutter guard systems and accessories so you can take on any job, any time. Browse our large inventory of professional-grade products or call us at 888.909.7246 to learn more.